Unlock doors, evade trolls and goblins, and collect crystal balls and magic potions, as you search for the seven lost treasures. 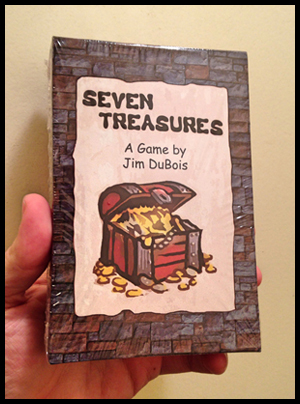 Seven Treasures is a two-player card game with 98 custom cards, featuring art created by Thomas Gale. 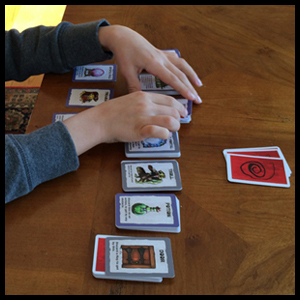 Quick to learn and setup, it will fascinate you with its high level of variety, and keep you wondering how the next game will go. Or get the old first edition to from DriveThruCards for $4.99.